Why sand? This is a basic question for many new (and some old) aquarium keepers. Sand has many pros and cons. As does gravel. In this guide I hope to explain these. There are of course different kinds of sand as there are gravel. Lets get into the pros of sand. Sand is a great way to light up your aquarium. 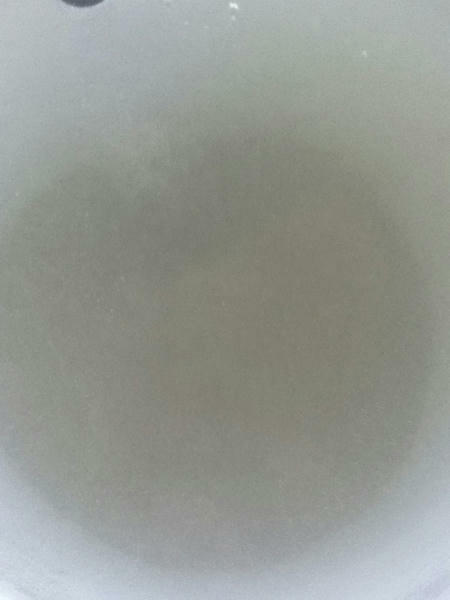 I have found when you add a light colored sand. Your aquarium illuminates with a very natural brightness. Sand is also a great way to let your tropical fish feel at home, since many of them were raised in sand base pools. Sand is great for plants, as it allows roots to grab hold easier. Cat fish thrive in sand. They love to bury in it. As for cleaning and wast. Sand keeps all of the wast on the top allowing snails, catfish, and plants benefit from waste. Cleaning sand may be a task at first, but in a short time you will become the master. I will brush over the cons of sand. Mainly because they are very small and the pros outnumber the cons. One of the cons I would be afraid of most would be of gas buildup. This is when your sand can have air pockets and when they burst, toxic gas will be released. Even though this is very rare except in some cases with play sand. I still think this is one of the worst cons. 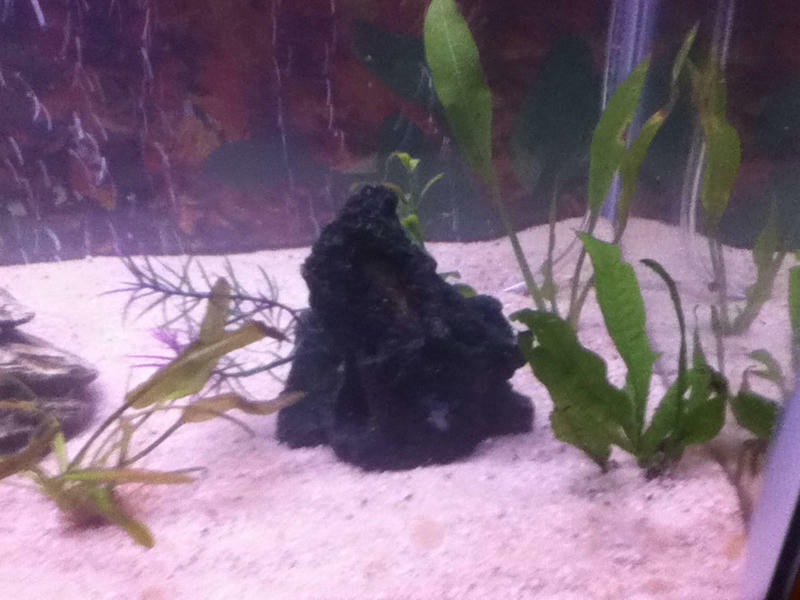 Another small cons is that when you remove your current substrate and switch over to gravel. Sand takes usually a long time to settle. There may be more cons I am not aware of, if you would like to post them below that would be great. Now let's stop talking and get on with it shall we!!! First before we start I would like to point out some things. First when adding sand to a tank. You must realize that sand is just ground up rocks (I'm sure you all know that). Meaning that if you add sand to an aquarium filled with water. Your sand will have a huge impact on your temperature, depending on what temperature of water you washed your sand in. Now another thing that is important. You must have a lot of patience. If you have ever done a fishless cycle then you will be able to breeze right through this . Now let go to step one. A kind of sand: I selected Pool Filter Sand. I highly recommend this sand, for reasons I will explain later. Now that you have your sand. You will also need buckets. I used three. That is all you really need. Next you will need towels (to cleanup messes) and a water source. STEP TWO: Now you will need to dump some of the sand into a bucket. Fill your bucket about a quarter of the way full. Then fill it with water. As you can already see my sand is fairly dirty. That is OK. One reason I like PFS (Pool Filter Sand) is because it is already per-washed, making it mush easier to clean. Keep filling it with water. Now when the water reaches to the brim allow it to run over. This allows all of the debris and cloudiness to be washed away. If you want, you can stick something under your bucket to make it tip sideways. This way water escapes more quickly. Keep letting the water flow out. Till it starts to get cleaner and cleaner. Till it gets clean enough for you to see completely to the bottom. Now let it run another 15 min just in case. Now take your sand and empty the water and fill a empty bucket with the clean sand (note: you do not have to make sure all the water is parted from the sand, but try and do the best you can). Now fill the bucket again 1/4 of the way full with sand and repeat the process until you have enough sand. A good rule is 1 pound per gallon. You want at least 1inch of sand on the bottom of your aquarium. If you have a planted tank you should have 1.5 inches. 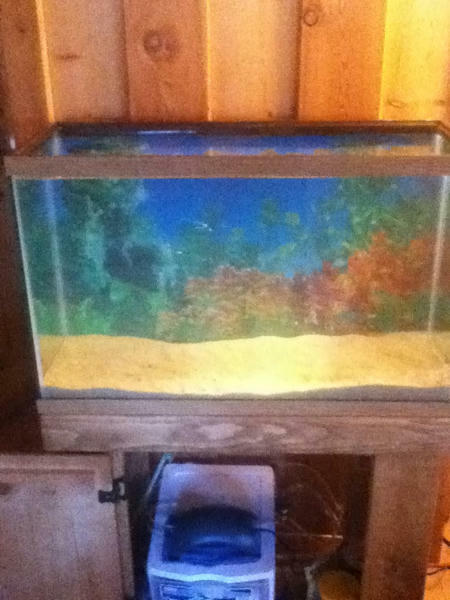 STEP THREE: Now take you clean sand and place it by your aquarium. You will need to take your fish out of your aquarium and transfer them into a secondary tank, buckets, or you can use a big plastic storage container. in my case I am using a 10 gallon tank. Since this will only hold the fish for a short amount of time. It will work. Now remember to keep and eye on the temperature. Try not to stress the fish. Also make sure your don't let your filter dry out. Or else your bio-filter will die. All your cycling work will be lost. Now once transferred we can continue with step four. STEP FOUR: The easiest way I figured was to drain my water from my tank. One drained I could easily take out the gravel. I then used a WASHED dust pan and a bucket to carefully dig my gravel out of my tank, making sure I didn't scratch it. Once my gravel was mostly cleaned out (as i could not get out a few pieces). I added the sand. STEP FIVE: Now lets start to add the sand. Start dumping your clean sand into your tank. Once it is in mounds you can use a flat object (I used my dustpan) and level it out. Then if you want you can use your hand to make it look more natural. STEP SIX: Adding water to your tank is easy, as you all should know. To add water just grab a clean bucket and fill it with water. To speed up the process you should fill your tank with reasonably warm water. Try not disturb your sand when you add the water. A simple trick is to place a large plate on the surface of sand. This will break the water and keep the sand from taking all the impact. Now once you have added the water you should already see the beauty or the sand. STEP SEVEN: Now you need to make your water safe for fish and more importantly your bacteria. Use a water conditioner to remove any chlorine from your water. My water is from tap and I am on a private well. So my water does not contain any chlorine, but I use PRIME just for a safe guard. Now that you have added prime to your water your should be able to start re-aquascaping your aquarium. Then replace your hood and move all of your aqua-equipment back over to your main aquarium. Allow your sand to completely settle before turning on your filter. If you use PFS you won't have to wait long. As my sand settled within 30 min. Run your heater to get the water temp to a good level for fish (around 82 is the "sweet" spot). STEP EIGHT: Now introduce your fish to your "new" tank. You should observe them to make sure they are not injured or stressed out. 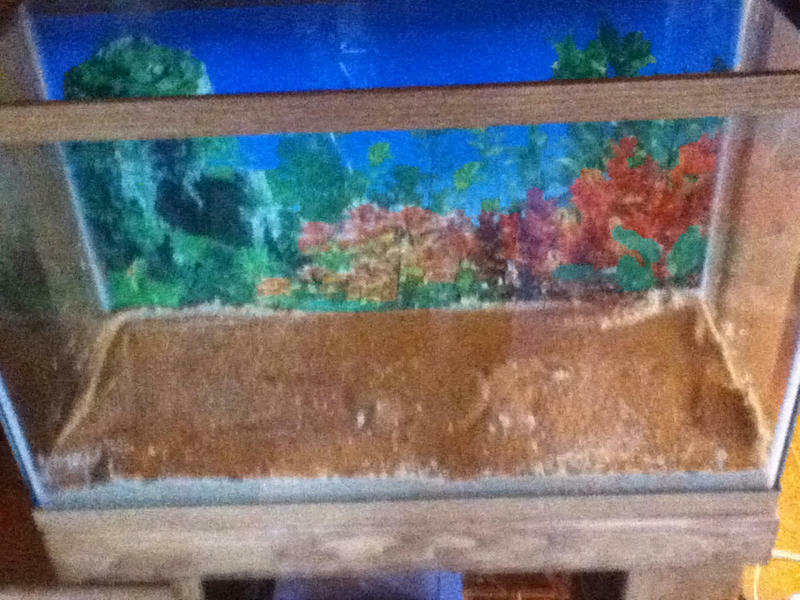 Enjoy your newly sand substrate aquarium. I hope you enjoyed this guide. Please if you have any tips or things you would like to add. Go ahead and post them. Also, I must apologize for any horrible picture quality. My iPod does not have the best of quality. Very Nicely written. However, I do want to know how you get water to stay in that tank when its standing on end like that. Mine always empty out onto the floor . I'm sure its probably something like that, just had to tease a little . Also got pfs in my tank and will not change very soon. One negative is the sand does turn a bit brown. Might be because of diatoms but that can happen to any substrate. Very good job!! The only thing I would add is when your adding water back into the tank after adding sand if you have a python(water vac)or something similar ime it works better than buckets and you don't have to break your back with all the lifting of buckets! I have mystic white pfs and mine hasn't turned brown yet. I agree before I changed all my tanks I also researched air pockets or "dead spots" as their called and couldn't find any real strong evidence to support this............ But I think if you have bottom dwellers that sift ( or cichlids that dig lol like mine do) through the sand that it's very unlikely this would ever occur. Ha ha good idea!!! I prefer lifting the bucket. I lift buckets all the time at work and it is always a great thing to stay in shape!!! And for everyone else. Thank you all. Keep posting comments. Ha ha good one! Yes when you take a picture in landscape view and post it up. It won't stay on it proper side. Someone should look into something for this site. Something that allows you to rotate images.